When constructing my columns, I often grapple with the idea of impartiality. What is my duty as a writer to offer an unbiased portrait of the subject I’m examining? My immediate visceral response — rooted in some academically instilled idea of journalistic “integrity,” I suppose — is to ensure lack of offense via calculated and inoffensive prose. But then I remind myself: Jacob’s Judgements is an editorial specifically designed to reflect my opinions and perhaps instigate dissenting conversation. Taking a stand is precisely the point. As such, I choose not to apologize for my verdicts, however grossly misguided they may seem to some. Why do I bring this up now? Well, today’s piece examines a delicate question: Which Minneapolis suburb is the best? And, beyond the obvious lack of objectivity when it comes to defining exactly what “best” means — my ideal residential neighborhood might equally be your nightmare — I also grew up in a western suburb that remains close to my heart; therefore, as much as I’d like to appropriately evaluate the pros and cons of every town from Maple Grove to Maple Plain, my conclusion is predetermined based on a happy childhood and an overinflated nostalgia lobe. So, what’s the best Minneapolis suburb? Let me get the requisite disclaimers out of the way: Firstly, my selection does not factor in St. Paul suburbs. I don’t know what’s going on over there. Secondly, it doesn’t mean that other Minneapolis suburbs are somehow bad. They’re just not as good as St. Louis Park. Okay, condescending sarcasm aside, there are, I think, many neutrally defensible reasons for this choice. First of all, using my criteria for prime geographic location — be as close to the city as possible — St. Louis Park can’t be beat. Literally. It hugs Minneapolis’ western border, making a trip to the big city as easy as strapping on your rollerblades and heading east (assuming it’s 1997 and you’re fourteen years old, to once again bring it back to my childhood). Even as an adult, living in an apartment after college, it was a perfect location. It offered the quiet, yard-owning feeling of a suburb without the forty-minute drive to the city destinations I enjoyed — concerts, restaurants, stadiums, arenas, museums, theaters, etc. And, perhaps as an extension of its proximity to the inner-city, the populace of St. Louis Park is fairly diverse. I don’t think a child can appropriately comprehend the influence this has on their socialization. And, while some may disagree, let me just say — without delving too deep into a sociological study — that I firmly believe the more different types of people you encounter, the more open to different ideas and cultures you will be. Admittedly, many of the surrounding suburbs also have a diverse citizenry — a credit to the Twin Cities in general. Finally, there is also a lot to do in St. Louis Park itself. A town need not be strictly defined based on its adjacency to Minneapolis fun. When I was a kid, Knollwood Mall was the place to be. A few times every year in the 1990s, they put on trading card shows: a favorite among me and my friends, fighting each other to get the newest Cris Carter collectible. I also spent plenty of time at the Kay-Bee Toys (lucky enough to get a new Ninja Turtles figure) and Montgomery Ward (unlucky enough to wait while my father got new tires). 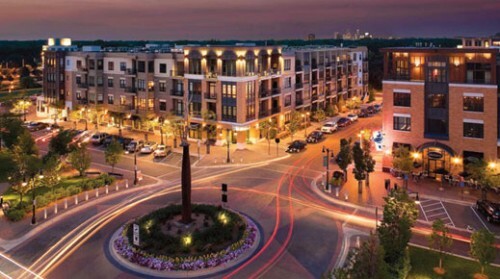 While I realize the mall itself has changed over the years, the addition of the West End and its trendy shops and busy restaurants makes St. Louis Park a destination itself for Minneapolis professionals. To reiterate in conclusion, I’m sure your non-St. Louis Park suburb is awesome. But my heart can’t help but conclude that the town in which I great up is somehow the best. Go Orioles! Previous Lions and Tigers and Bears… Oh My!